Nominated for the Locus Award (1978 - Best Novel: 14th). Also published as an Audio Book (2010). DEDICATION: "To Sam Long and my godson David, son of Doctor Docter." Years have passed on Riverworld. Entire nations have risen, and savage wars have been fought - all since Earth's dead found themselves resurrected in their magnificent new homeworld. Yet the truth about the Ethicals, the powerful engineers of this mysterious "afterlife", remains unknown. But a curious cross-section of humanity is determined to change that situation...at any cost. Dark blue cloth boards, with silver lettering on the spine. No statement of printing on the copyright page. With a foreword by PJF. Dark blue cloth boards, with silver lettering on the spine. 'Second Impression' or 'Third Impression' stated on the copyright page. Otherwise exactly the same data as with the first printing, including the printing date (7710) on the dustjacket. With a foreword by PJF. The title is in in red gilt on the cover. With a foreword by PJF. With a foreword by PJF. Dark blue paper boards and black leatherette spine, with blue lettering on the spine. First printing has date code K43 on page 427. With a foreword by PJF. With a foreword by PJF. There is also a 'second' eight printing with exactly the same data, only with a publishing date of 09/1981. Both printings have been used in the boxed set of Riverworld books in 1981. The number of printing is indicated in a row of numbers on the copyright page. With a foreword by PJF. First printing indicated in a row of numbers on the copyright page. With a Preface by PJF. With a Preface by PJF. With a foreword by PJF. The second printing is also included in the boxed set of Riverworld books in 1979. With a foreword by PJF. No indication in the book that this is the third printing, it has the same info on the copyright page as the second printing: "Reprinted 1979". Only the cover design and the price differ. With a foreword by PJF. Indicated in the book as the third printing, it is actually the fourth. With a foreword by PJF. Indicated in the book as the third printing, it is actually the fifth. It does not mention the 1980 reprint. This printing is also included in the boxed set of Riverworld books in 1982. With a foreword by PJF. Indicated in the book as the fourth printing, it is actually the sixth. It leaves out the 1980 reprint. With a foreword by PJF. Indicated in the book as the fifth printing, it is actually the seventh. It leaves out the 1980 reprint. This printing is also included in the boxed set of Riverworld books in 1985. With a foreword by PJF. Indicated in the book as the sixth printing, it is actually the eighth. This book wrongly mentions a reprint in 1981, but leaves out the 1982 and 1985 printings. First UK hardcover. With black paper boards and gilt lettering on the spine. With a foreword by PJF. With a foreword by PJF. Indicated in the book as the seventh printing, it is actually the ninth. This book wrongly mentions a reprint in 1981, but leaves out the 1982 and 1985 printings. With a foreword by PJF. Indicated in the book as the eighth printing, it is actually the tenth. This book wrongly mentions a reprint in 1981, but leaves out the 1982 and 1985 printings. With a foreword, "Předmluva", by PJF. 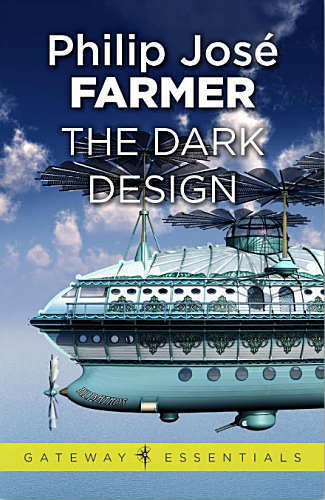 Martin Šust wrote an afterword about Farmer's writing career and about some of his stories and most of the novels. Strangely enough this article has been printed twice in the book. With a foreword by PJF. The cover is with silver foil, which has different patterns on the printings. With a foreword by PJF. The cover is with 'silver' foil, which has different patterns on the printings. Omnibus, together with To Your Scattered Bodies Go and The Fabulous Riverboat. With a foreword by PJF. This printing is wrongly dated as December 2011, I bought it long before that. Omnibus, with all five Riverworld novels and one novella: To Your Scattered Bodies Go, The Fabulous Riverboat, The Dark Design, The Magic Labyrinth, "Riverworld", and Gods of Riverworld. With a foreword by PJF. With a marker ribbon. With a foreword by PJF. Pictorial boards. With a marker ribbon. Pictorial boards. Four hardcover books with the same ISBN, they were not sold separately. With a foreword by PJF. The cover artist of the first printing was stated to be Joshua Caez. Probably a mistake from the publisher, corrected with the second printing. With a foreword by PJF. With an introduction by Lester del Rey and with a foreword by PJF. Boxed set of four paperbacks with dustjackets. These books were not sold separately. With an introduction by Lester del Rey and with a foreword by PJF. The two omnibus volumes have the same ISBN. The books were not sold separately. Omnibus, together with To Your Scattered Bodies Go and The Fabulous Riverboat. Original novel published in two paperback volumes, this is part 1. Original novel published in two paperback volumes, this is part 2. With a foreword by PJF. The novel published in two paperback volumes. The novel published in two paperback volumes. Joined publication of two publishers Troll and Yuventa. Omnibus, together with Time's Last Gift. 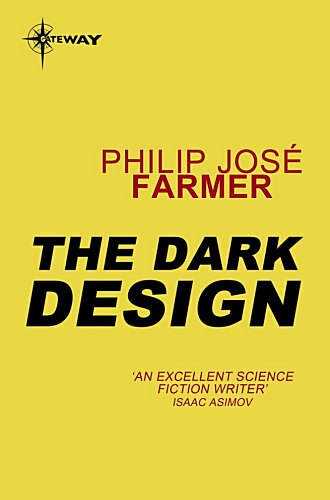 The omnibus includes an essay, "Филип Хосе Фармер" ("Philip Jose Farmer"), by Andrei Chertkov. Pictorial boards. Illustrated by M. Ermakov. With a foreword about the novel. This book is not really an omnibus, but it is part of an omnibus series. Pictorial boards. Omnibus, together with River of Eternity. With a foreword by PJF.